Isadora Headband is from Gypsy Renaissance's Headbands Collection. 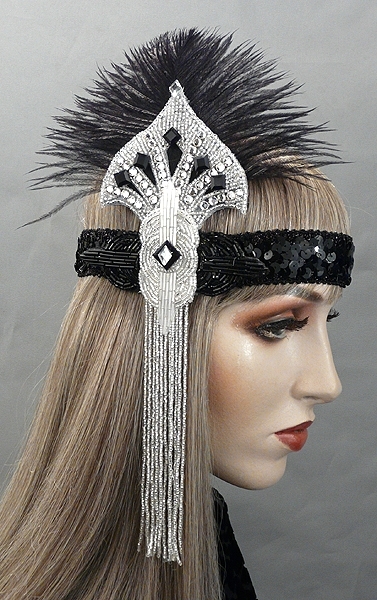 Isadora is a black sequin flapper headband with an ostrich plume and silver beaded appliqué. Isadora is a black sequin stretch flapper headband adorned with a black ostrich plume. The headband is embellished with silver and black glass beaded appliqués and glass beaded fringe. Finished with black jet jewels and crystal rhinestones.